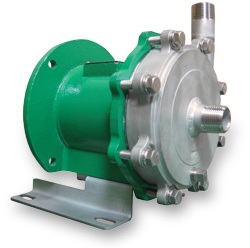 The MMP Series magnetically driven, sealless, centrifugal pumps are heavy-duty mag-drive pumps with superior SiC-X bearing materials for low flow applications. 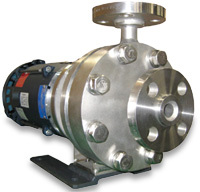 These close coupled pumps are similar in construction to the MPL/MP Series, except the shaft is stationary and the suction/discharge ports are male NPT with optional flanges available. 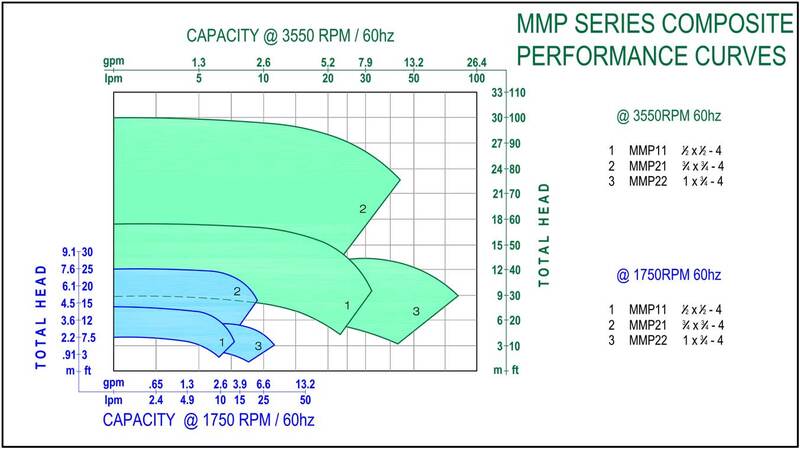 The MMP Series pumps are high-quality, dependable, long-lasting pumps utilizing our exclusive straddle bearing design and furnished with the shaft, thrust ring and bushing made of beta sintered silicon carbide material. Sealless pumps help eliminate "Reportable Release" issues. 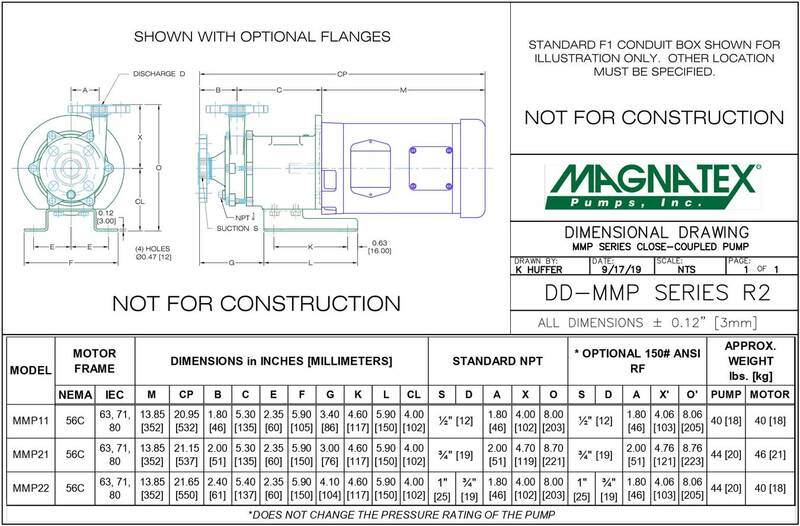 All Magnatex pumps and spare parts come with a 1-year unconditional warranty on materials and workmanship.